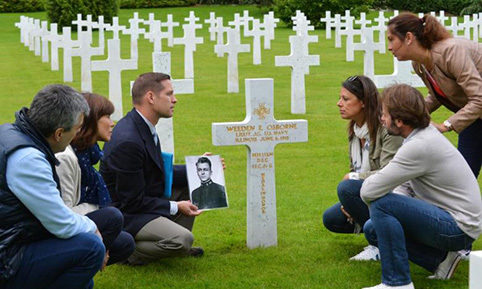 Pay tribute to World War I troops on a special September weekend getaway in France. 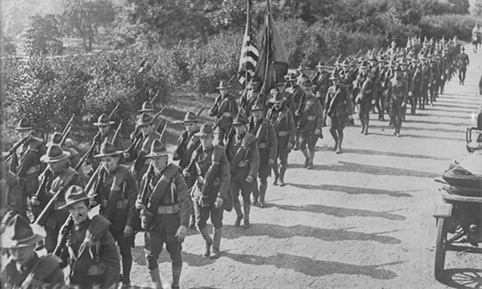 Book your flight now for September 14 to 16, 2018 and travel to Aisne County, Picardy, France to honor American and French Troops fighting alongside in the battles of the Aisne. Nonprofits Aisne 14-18 Le Centenaire, Centenaire 1914-1918, and The United States World War One Centennial Commission, present Soldats de Toutes les Couleurs Sur le Chemin de la Paix (Soldiers of All Colors Walking on the Path to Peace) in honor of the valiant Allied soldiers who perished defending France. The three-day commemoration weekend will take place from September 14th to the 16th, 2018. The United States’ momentous decision to join the Allied Powers on April 6, 1917, proved to be a critical turning point in the Great War. With it came the mobilization of over four million men who brought much needed strength and hope to the beleaguered continent. 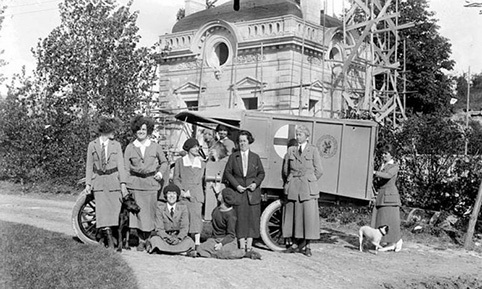 US support had long since begun, however, in 1915 when young American men and women began volunteering as ambulance drivers to save French lives. The river Aisne, particularly along the Chemin des Dames, acted as a crucial strategic vantage point where more than half a million troops perished in its defense and captures. The Third Battle of the Aisne left the stronghold in German hands until French and American troops together were able to reclaim it, albeit with high costs to human life. This concerted effort was the final push leading to the German surrender. The special weekend commemorates these events. A day of film and documentaries at the Franco-American Museum at the Château de Blérancourt, located approximately 125km Northeast of Paris and 1h30 by car or by train and taxi. A day of lectures from renowned historians and professors on diversity within the Allied army, also located at the Franco-American Museum in Blérancourt. An evening jazz concert will take place at the Cité de la Musique et de la Danse in the city of Soissons, where another 12,000 American and 95,000 French lives were lost. Soissons is located approximately 100km Northeast of Paris and one hour by car. Conversely, Soissons is about 25km Southeast and thirty minutes by car from Blérancourt. A day of memorial visits in Vauxaillon (departing from the soccer/football field) followed by student recitals at the National Necropolis. Vauxaillon is approximately 150km Northeast of Paris and 1h45 by car. The evening will include recitals and concerts from several groups including the Jazz band of Chicago’s Martin Luther King High School and will take place at Notre-Dame Cathedral in Laon, located approximately 25km Northeast and thirty minutes by car if coming directly from Laon.